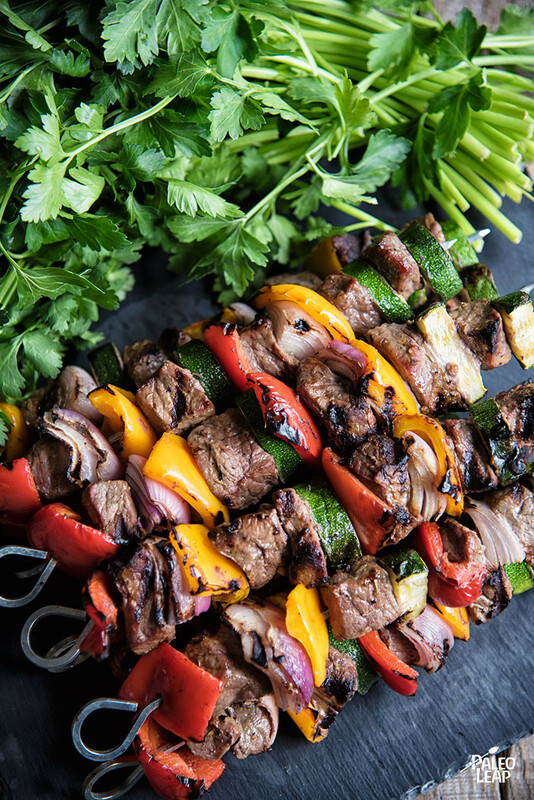 These bright kabobs are a grill-season classic – grilling brings out the sweetness of the onions and bell peppers, and gives you a nice charred edge on the vegetables to go with the juicy pieces of steak. Use all different colors of bell peppers for an extra-colorful experience! A quick mustard vinaigrette adds even more flavor, but this recipe is set up for the last-minute planners of the world: you don’t have to actually let the meat sit in the marinade for any length of time. Just combine and go, no need to wait around for an hour while the beef and the mustard get to know each other’s hopes and dreams. If you want a little more vegetable matter here, you could double the vegetable ingredients, and then either spread out the meat more on each skewer, or make some extra skewers just for vegetables. (The second option is especially good if you’re also feeding any vegetarians). In a bowl, combine the olive oil, Dijon mustard, balsamic vinegar, thyme, and salt and pepper to taste. Add the beef to the bowl with the marinade, and stir until well-coated. Thread alternating pieces of meat and vegetables onto skewers. Season each kabob to taste with sea salt and ground pepper. 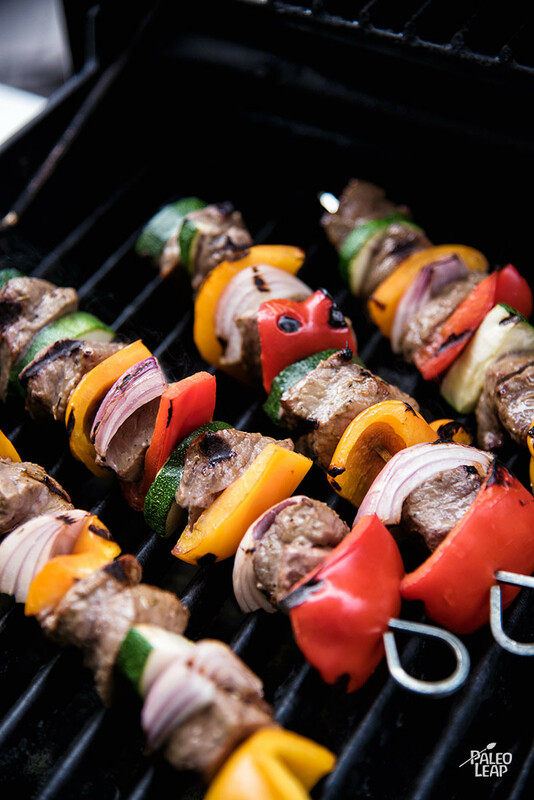 Grill the kabobs on the preheated grill, turning frequently, until nicely browned on all sides, about 15 minutes.